Granville Island Brewing’s newly complete Under the Bridge series celebrates the bitter start and bright finish of Granville Island. From a dark and dangerous industrial centre, to a bustling artsy hub, this series explores the history of where Granville Island Brewing began. There are 4 brews in Granville Island Brewing’s Under the Bridge Series: Swing Span Amber Ale; clove and banana flavours of Hey Day Hefeweizen; caramel malts in Maple Shack Cream Ale; and the well-hopped and light citrus flavour of Infamous IPA. The Infamous IPA is a medium-hopped brew with a full malt flavour. It has notes of light fruit aromas and citrusy grapefruit flavours. Food Pairings: Bitterness compliments spicy, fried flavours like curry. 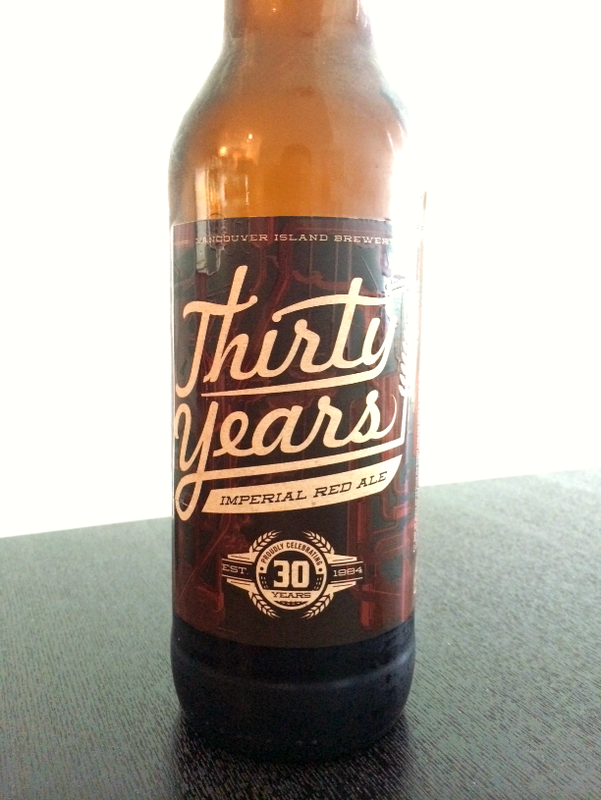 Vancouver Island Brewery is celebrating its 30th anniversary with a special Imperial Red Ale. This is a big and bold brew that pours almost black but more of a deep red/bronze when held to the light. On the nose, it’s slighly hoppy but with a distinct molasses sweetness that you get from a barley wine. The sweetness comes through on first taste with hints of raisin and caramel. You can detect the west coast hops in the background but they play more of a supporting role. The sweetness carries on and subsides somewhat in the finish where it gives way to a slight spruce-like hop. This is a rich and thick brew weighing in at 8.5% abv…a very unique imperial red that is fun to drink. Kudos to VIB for their originality and congrats for 30 years of great brews! From Portland by HUB Hopworks Urban Brewery. Organic brew with 70 IBU. This is your classic Westcoast dark ale. Pours a dark brown hue with a good one finger of head. on the nose you get the Cascadia hops which is immediately followed by a strong malt flavour. On first taste the hops are balanced with the malts giving it a very nice smooth roundness. The finish is surprising clean given the heavy use of hops. Overall, I would buy it again. 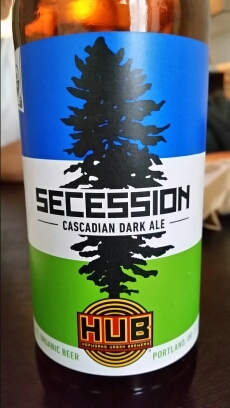 Comparable to the Granville Island Cascadian dark ale craft beer.